AXE HEAVEN® has created one-of-a-kind miniature replica models to commemorate iconic instruments. Each 1:4 scale ornamental replica guitar is individually handcrafted with solid wood and metal tuning keys. 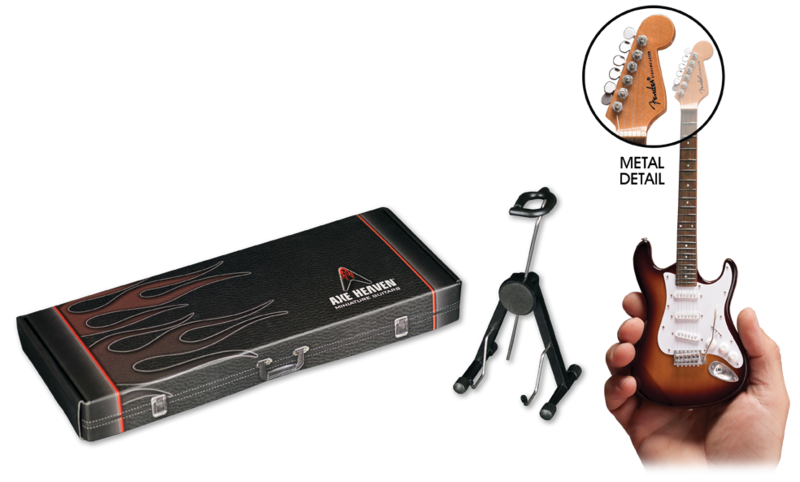 Each guitar model is approximately 10” in length and comes complete with a high-quality miniature adjustable A-frame stand and Fender™ by AXE HEAVEN® guitar case gift box.